During the summer of 2010, we talked in this column about a pretty schooner under construction at Arkin Pruva Argos Yachts due to be launched in 2011. Now christened Shindela, the sailing yacht was delivered on time to her British owners. RINA classed, Shindela is built in cold-moulded wood and epoxy. 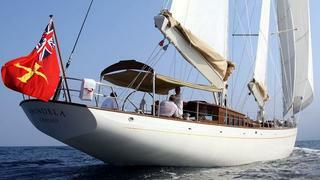 This pocket schooner, with a length of 25.35m, is designed by Burnett Yacht Design. Her classic interior accommodates six guests in a master and two double guest cabins, with the possibility of two extra beds in the deck house. Rig and spars are built in aluminum by Formula Marine, and in case of light winds a single 300hp Cummins QSB 5.9 engine will power the yacht. Shindela is now delivered, and the Turkish yard is already announcing a new construction, a 27m sloop called Tempus with a design by Humphreys Yacht Design.